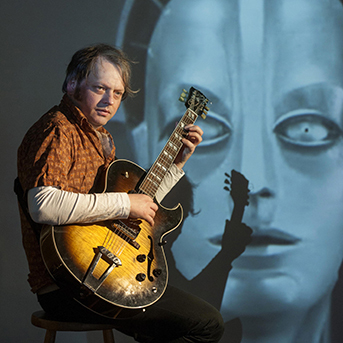 Guitarist and composer Graeme Stephen reprises his acclaimed multi-media presentation Letters for Peace at St James Scottish Episcopal Church in Leith on Friday, April 12 and at St Peter’s Church in Linlithgow on Friday, April 26. Aberdeen-born, Edinburgh-based Stephen wrote Letters for Peace, which he performed as part of the Made in Scotland strand of the Edinburgh Fringe last August, after coming across a book about First World War conscientious objectors while on tour in Wales. Stephen wrote Letters for Peace for guitar and string trio. It also features the voice of Stephen’s wife, the Romanian singer-songwriter Lizabett Russo as well as photos and words which are projected on an overhead screen. Following its Fringe 2018 premiere it went on to further acclaim at the annual Sound festival in Aberdeen in October.